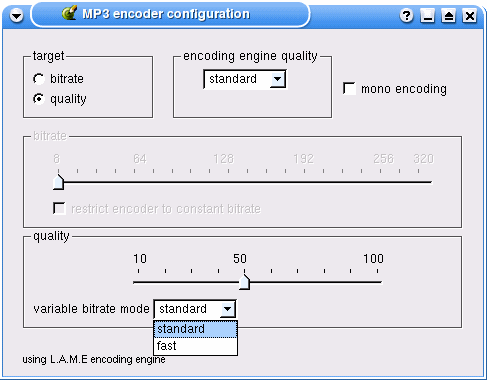 LAME is an educational software to be used for learning about MPEG Audio Layer III (MP3) encoding. The goal of the LAME project is to use the open source model to improve the psycho acoustics, noise shaping and speed of MP3. LAME is distributed as source code only. Many improvements in quality in speed over ISO reference software.